Fuorisalone.it is a communication platform, which offers a support system to companies, agencies, private people or associations for the conception, creation and promotion of events during the Milano Design Week. Since 2003 Fuorisalone.it is the official guide to the event. Institutionally recognised and supported, it has also been the reference point for the Interareas project, supported by Milan City Council within the "Milano Creativa" programme. Fuorisalone.it is a tool that talks about the events of the Fuorisalone, experiencing them at first hand, bringing the key players of the Design Week to the foreground, with a background of a city that lives total changing situations revolving around design and creativity for a week. The aim of Fuorisalone.it is the promotion of design as an event, performance and installation in the urban pattern. A design that, by moving out of its official spaces, becomes accessible to all through the use of appropriate tools and services. Fuorisalone.it offers the possibility to publish for free complete information about your event in the online guide as "basical event" Upload your event info now! 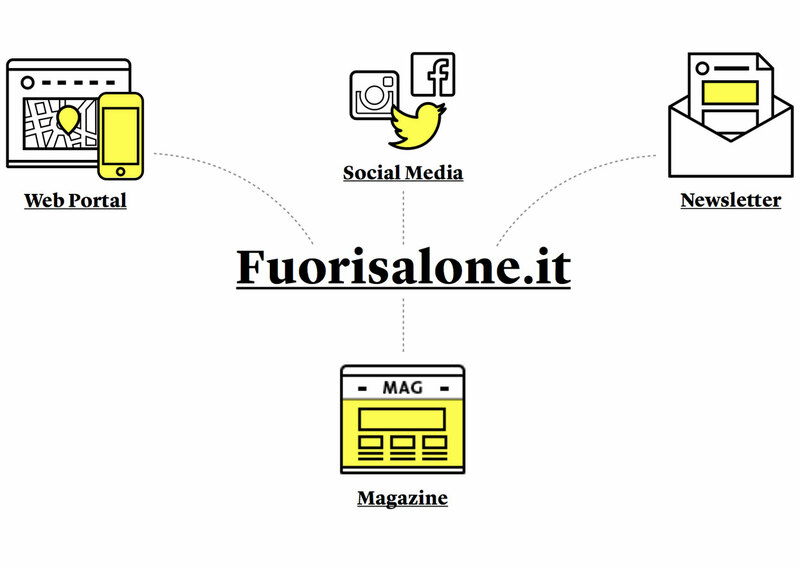 If you want to give more visibility to your brand or event between the thousand of other Fuorisalone events, Fuorisalone.it offers you also some purchasable communication formats. PHOTO © Erika Sambusida, Antonio Mocchetti, Leda Gabelli. DO YOU WANT TO RECEIVE THE PRICES LIST OR BUY A FORMAT? Several years working on Fuorisalone gave us a rare experience and a large portfolio of case studies. Here you can find an excerpt of most important projects and experiences achieved.